Staff Selection Commission (SSC) Southern Region, Chennai has published an advertisement for the recruitment of various vacant posts in Group B & C. Candidates who meet the requisite eligibility criteria can submit a duly filled application form with all essential attested credentials at the concerned address on or before 24-11-2014. Job seekers who are looking for jobs in government sector are advised to opt this opportunity and apply for the following positions as soon as possible. Applicants are suggested to go through user guidelines to fill in significant details in the application form. 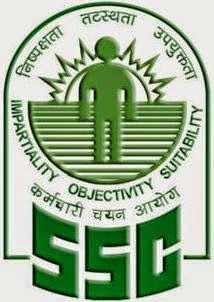 Other details of SSC Group B & C Vacancies are framed below on this web page by the team members of careerdaily.in. Aspirants are required to read full details before applying for the posts. Candidates who possess the below specified criteria are eligible to apply for the above mentioned posts. The prescribed amount of Rs.50/- is required to be paid in in the form of Central Recruitment Fee Stamps (CRFS) which are available in all Post Offices of India. Candidates of SC/ST/PH/ Female categories are exempted from any applicable fees. Applicants who satisfy essential eligibility criteria are required to submit duly filled in application ensuring the desired format. Candidates who want to apply for more than one post need to submit separate application for each. All the mandatory columns must be filled with significant details as per in user guidelines. Enclosed application must be indicated on the top of it with the name of post, advertisement, no. & category no. (Post code). Send the application at the below structured address.